Neoperl's® 1.5 gpm Perlator Aerator Insert has an integrated Anti-liming Honeycomb® screen which replaces conventional wire mesh screens prone to lime build up. 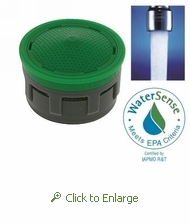 The aerator insert has an anti-clogging dome screen which filters sediment and particles. 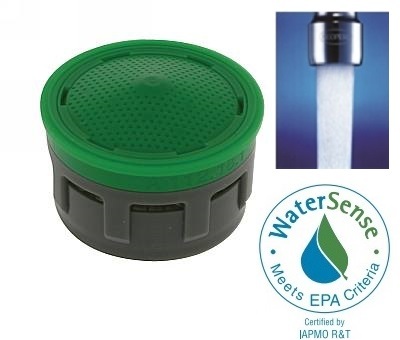 Patented construction provides a well aerated stream and is soft to the touch.